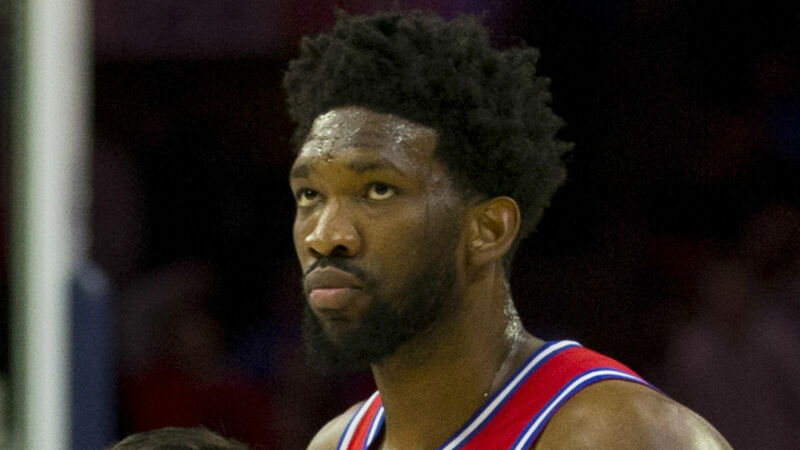 Joel Embiid took a swipe at the referees as he exited his media conference following the Philadelphia 76ers' 112-109 defeat to the Boston Celtics at the Wells Fargo Center. Embiid racked up 23 points and 14 rebounds in an entertaining encounter against a Celtics side who were without the injured Kyrie Irving. The center was likely irked by a debatable block by Al Horford in the fourth quarter, which led to a Marcus Smart dunk at the other end that stretched the Celtics' advantage to four. "And the referees f****** sucked!" he said. Embiid's figures came despite being stifled by Horford for long spells, with the Celtics man chalking up 23 points and eight rebounds of his own. But Embiid insists Horford's success in their head-to-head battles was more down to his own shortcomings than his opponent's abilities.